During the summer we have had people staying at our camp and I thought it would be nice to be able to offer some proper accommodation. So during the week I spent a few hours making a simple lavvu that people now can stay in. This will also be used on courses when the weather goes bad (never happens). 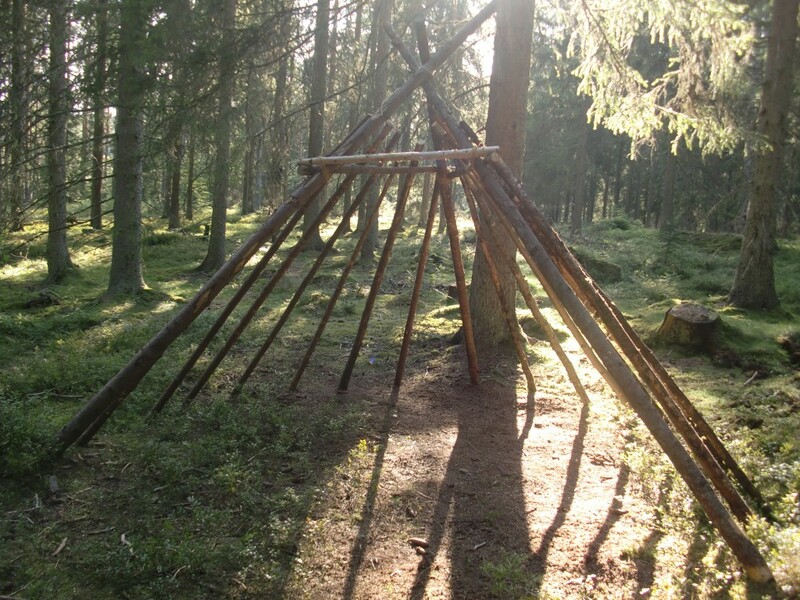 This is a shelter I learned to make during a winter survival course some years ago and it´s perfect as a winter shelter. It´s very easy to build and can be done without having to use any string or rope. The style is inspired from the Samii lavvu but with some changes to it to make it better. I will write more about it and how to make it and some of the little tricks to make it slightly better next time. Detta inlägg postades i English, Ute och omkring och märktes Bushcraft, Lavvu, Samii den augusti 6, 2011 av Johan, Nordic Bushcraft.